This 6 week beginner program is FREE for current CTA Members in good standing. 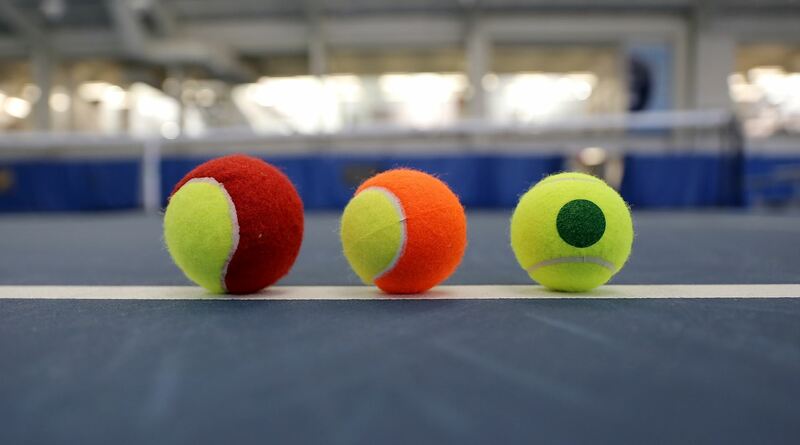 Learn to play tennis and enjoy this sport of a lifetime! CTA’s Tennis Basics Program is designed for the novice to play and develop skills at the same time. Whether you are brand new to tennis, haven’t played in decades or are an entry-level player that needs to focus on technique – this program is for you! The program utilizes lower compression tennis balls that bounce slower for guaranteed racquet contact and will be run by certified teaching professionals. Players that lack directional intent, have incomplete swings, incomplete service motion, avoid forehand or backhand, and/or have grip problems. Unsure if you fit the requirements, but want to participate? Please email president@capital-tennis.org for consideration. Not a CTA Member? Join today to participate in this great program! If you have any questions, please contact president@capital-tennis.org. Since this is a progression based program, it is encouraged that you only sign-up if you can attend at least 5 (out of 6) of the weeks so that you don't fall behind. Please note that the CTA President and CTA League Commissioner have final approval of the participation list for the sole purpose of ensuring that all participants are of appropriate skill level and CTA members in good standing.